Very stylish and smart to look at. Wonderful leather item from the Vintage range. 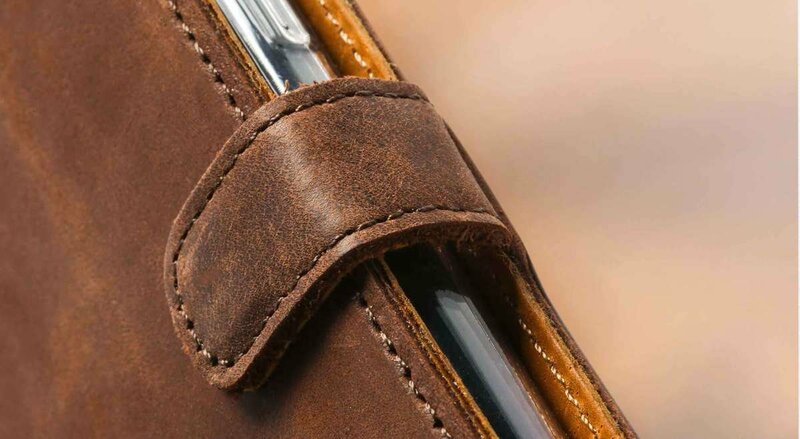 Now three of us have the same type of genuine leather case in different colours and we expect excellent durability and long life. Would certainly recommend. 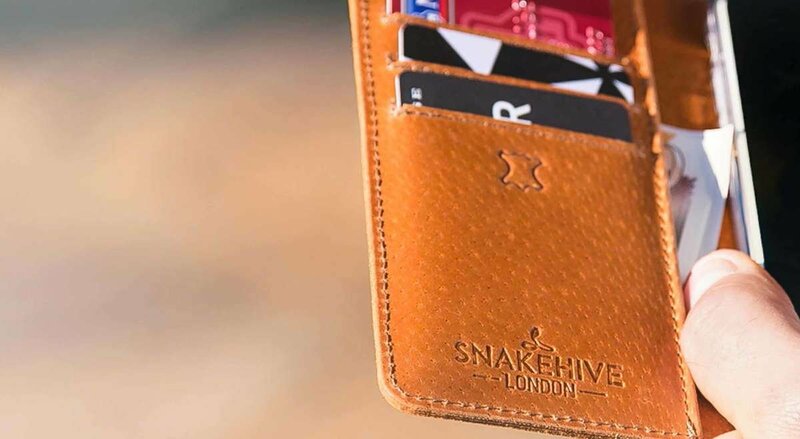 An excellent wallet to house my Samsung Galaxy A3, it is beautifully made and looks smart as previous covers from Snakehive have. I'm not sure I would house credit cards inside the flap without her of damage to the screen etc but having said that the pocket behind this is useful. Recommended ! This wallet fits the phone perfectly, quality seems to be very good, and I am sure it will serve its purpose adequately, reasonably priced, just what I wanted. Very good product,and prompt delivery. Very nice solution for mobile phone. Real leather, made with love and looks amazing. Phone is safe and always around me, thanks to your wallet. I am very happy to have it. Great product looks good quality good price fair. Excellent service.. Precisely as advertised. Quality of product beyond question. This product would stand it's ground against other products to do the same job......no hesitation in recommending the retailer to others......very impressed. Not the cheapest one on the market but if you want quality it doesnt come cheap beautifully made,very satisfied. Excellent genuine leather product, backed up with excellent quick service. A really exceptional product. Nothing else on the market even comes close to competing in quality or value. I have no hesitation in recommending it. Delivery excellent. Supplier achieved everything expected, correct first time. Great value for money and made to a very high standard. The best I have had over the years. Superb item very pleased with the quality and fit, I would definitely recommend to anyone one . The case is constructed well, the sewing is good, good fit, adds a good layer of protection. Product arrived promptly as promised, also repayment of initial wallet which was for another phone.the quality is excellent and seaves it's purpose in every way. Thank you for your service. Really good quality I'll get one for the wife. A very high quality and expensive looking cover for an inexpensive price, the details of the stitching and feel of the leather is exactly what I was looking for, highly recommended. This is a lovely luxurious phone wallet. Very pleased would definitely recommend this product. An excellent leather product of quality & substance.